Ecommerce is a multi-billion dollar business that is poised to grow even bigger as more and more people become familiar with online shopping. There are millions of online stores scattered around the Web, from giants like Amazon to the smallest virtual boutiques. Nevertheless, with all the competition, there is still room for more players in the ecommerce industry. It’s still relatively easy to find an under-served niche or even an entirely untapped market that is yours for the taking. To succeed in the ultra-competitive ecommerce business, you will need more than a bright idea. With online stores, it’s vital that you do things right from day one. The slightest inconvenience to the smallest kink in the user experience may cause shoppers to leave your web store and never come back. To build an appealing, trust-inspiring website that impresses shoppers and seamlessly guides them toward checkout, a few elements are absolutely crucial. In this article, we name these elements and explain them in detail, providing you with the entire knowledgebase you need to succeed in setting up your own ecommerce site. You will see why it’s important to invest in a good ecommerce web server, learn about the various shopping carts available, and get a quick overview of the technical aspects that you will need to know before setting up your first ecommerce web hosting account. In the real world, one of the first steps you would take to set up a new shop would be to find a suitable location: one with great traffic, a nice appearance, and a reasonable lease. In online commerce, the location of your store is the ecommerce hosting account. Make sure that your ecommerce web host has the physical resources needed to run an online store without problems. And the last thing you need when you run a store (or any website for the matter) is glitches and downtime. Unpredictable website behavior will drive away potential buyers and ultimately hurt your bottom line. To prevent downtime and error messages, invest in an ecommerce hosting plan that gives you plenty of processing power, RAM, and disk space. Even if you start small, be sure to take into account the growth that you project over the next year or two. Also, consider that you may experience unforeseen traffic spikes. Accommodate for these situations, too, and not only for regular traffic. Your choice of ecommerce web hosting planwill also influence the other important elements that we cover in this article. For example, most ecommerce website hosting providers only offer a few features such as a merchant account and a shopping cart (more on this later). The bottom line? Do your due diligence, ask questions, and make sure you get a good package right from the beginning. It’s much more difficult to fix things once you have turned down a wrong path. A merchant account is a special type of bank account that allows you to receive payments from your buyers. Basically, a merchant account is what you need to process debit and credit cards on your website. When a shopper makes a transaction, the money does not move instantly from the buyer’s account to your merchant account. More accurately, several complex verification and processing operations take place in the background, all in a matter of seconds. To enable these operations, you will need to sign up for a payment gateway. Think of the payment gateway as a virtual tunnel that is created between your merchant account and the account of the merchant bank. All communication and data transfer is made through this tunnel, which is encrypted to ensure privacy. Typically, you will purchase the merchant account and the payment gateway services as part of a single package. There are many providers of merchant services, and all of them will process payments for you, in exchange for a fee. When selecting a service, take into account what type of cards are supported – for instance, some services only accept MasterCard and Visa cards, while others also support American Express or other brands. Operation fees (including setup fees, minimal fees, operation-specific fees, and transaction fees) are obviously just as important, especially for a newly established business. Generally speaking, it’s a good idea to opt for a reputable payments processor, such as Authorize.Net. Working with a well-known provider will give you the peace of mind that you are protected from fraud and erroneous transactions, and that the company will not go out of business in a few months, leaving you high and dry. In ecommerce hosting, the software used to create the actual virtual store is called a shopping cart. The shopping cart handles everything required to process the selling of a product or service, from displaying the catalog of products, to calculating the total amount of a purchase, collecting information about the buyer (name, credit card number, etc. ), and finalizing the order. There are many types of shopping carts available, both proprietary and open source. Although proprietary solutions have their benefits, such as good support and maintenance services, you can find great solutions for your ecommerce web host, free of cost. Usually, your ecommerce web host will come with a few shopping carts preinstalled. Some of the most commonly offered ecommerce applications are X-Cart, osCommerce, Magento, and Agora. The choice between various shopping carts is complicated and beyond the scope of this article. If you are having trouble deciding, it’s better to consult a professional or to ask the advice of your ecommerce web hosting service provider. When you’re dealing with credit card numbers and other sensitive information, you need to go the extra step for safety. Without adequate security, it’s only a matter of time before hackers target your ecommerce server, with potentially disastrous consequences. Secure Sockets Layer certificates are used to encrypt the connection between your ecommerce website host and the customers that visit your site. When SSL is used, nobody can eavesdrop on the data that is being exchanged, which ensures the safety of the transaction. SSL certificates are a kind of virtual ID for websites which communicate to the browser that the visited website is authentic and secure. Make sure that you choose an ecommerce web hostingsolution that supports dedicated SSL certificates (which you will have to acquire separately), or at the very least, shared SSL certificates (which are issued to the ecommerce web host provider, who, in turn, makes them available to you). JaguarPC provides integrated ecommerce website hosting solutions that provide everything you need to establish your own successful online store. It all starts with the quality infrastructure – JaguarPC works with carrier-grade Supermicro servers that are designed from the ground up to provide the reliability and performance needed for ecommerce hosting. Next, JaguarPC puts at your disposal a rich set of ecommerce hosting-oriented features, such as SSL support and preinstalled shopping carts. Opt between X-Cart, Agora, Zen Cart, and osCommerce, or bring your own solution. No matter what you choose, your shopping cart will get the best hosting environment possible. 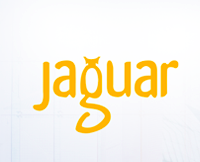 JaguarPC’s ecommerce web servers support many merchant account services. You can even get a great deal by buying an Authorize.Net service package directly from our site. And, if you ever require support, our team of skilled technicians is available 24/7. Learn more about our ecommerce website hosting plans or order a hosting solution by visiting jaguarpc.com or calling 1-888-338-5261 today.